The board is small but takes on big projects. With the help of member-volunteers, we never rest easy for long. 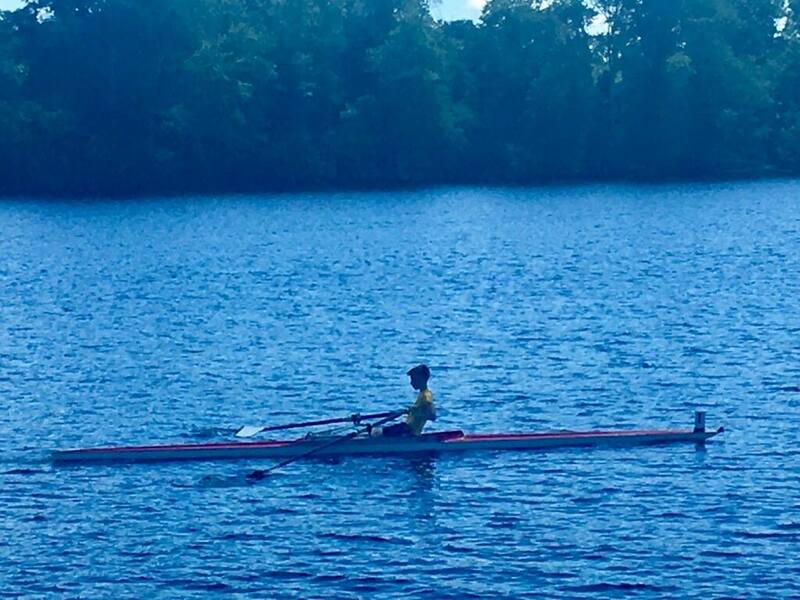 Though we’re well outfitted, with our original Cuyler Boathouse and our new Boathouse B, with all our shells and oars and odds and ends, we look forward to new and better ways to make getting on the water easier and staying there more fun. Well-stored and maintained equipment can make all the difference! See? 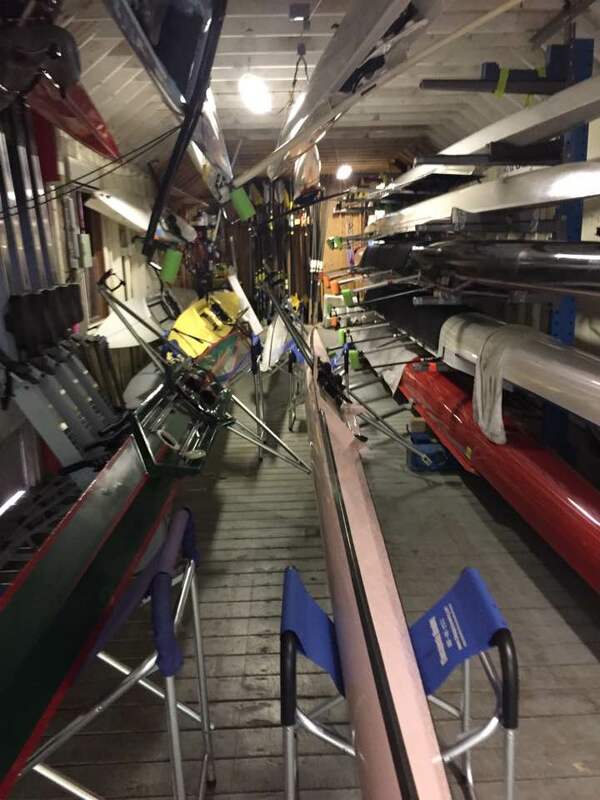 In the coming year, we aim to build oar closets off the front side of the Cuyler for easier access to the oars, and fewer bumps and bruises which tend to occur with their being stored at the back of the house now. We’re also looking into buying a new quad, which would increase our capacity for the juniors program and our participation in events at regattas. 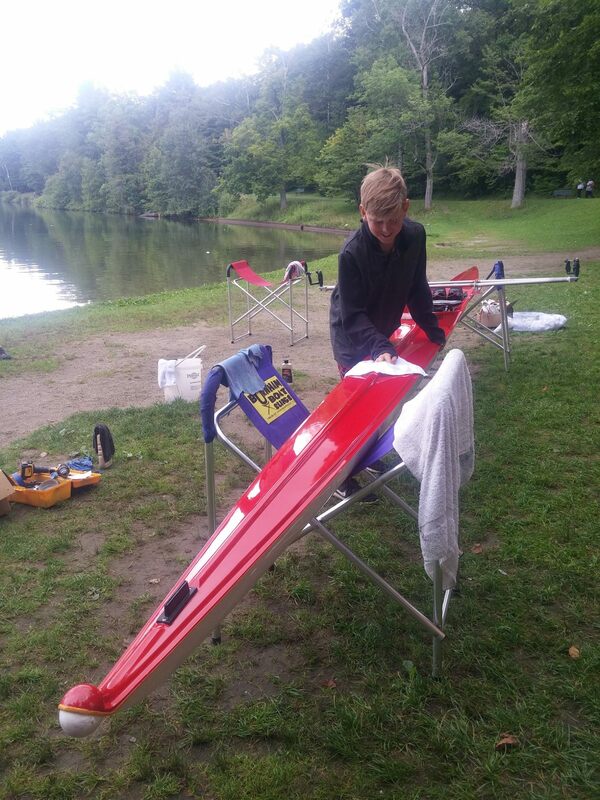 Other clubs, especially at juniors regattas, are always generous in loaning shells and oars as we need (and we return the favor when we can). But it would be great to be even more self-sufficient. We’ve recently received a gift of several Maas singles, which are camped out for the winter in a board member’s side yard. As we take our winter inventory, we’ll measure the condition of these compared to the ones already circulation, and choose which to make more easily accessible for next year. Any guess as to why we need to make such decisions?